Prototyping - Leading Technologies - A Division of Composidie Inc. 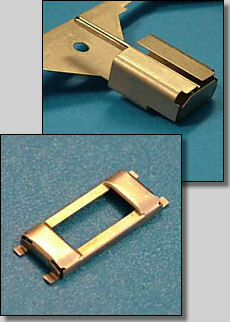 Through parent company Composidie Inc., we offer rapid prototyping of custom designs and dies. Experience, technology, and innovation fuel our engineering and product design capabilities. Composidie Inc. engineers custom solutions to fit our customers' volume requirements. With Composidie's broad engineering support, we excel at becoming involved on the front end and assisting in product development from prototype through each step of production.